Leucine is one of three branched chain amino acids. Because it is an essential amino acid, Leucine must be consumed as part of the diet, as it is not manufactured by the body. 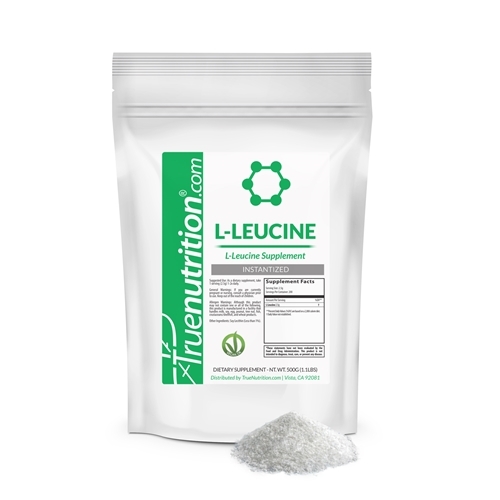 As a dietary supplement, L-Leucine may help to support healthy muscle metabolism and healthy energy production, making it an ideal recovery aid following intense exercise.✝ True Nutrition's Instantized L-Leucine is derived from fermented plant-based ingredients, is entirely vegan-friendly, and dissolves easily into any liquid! The taste is minimal, much less bitter than I expected. And this makes adding a leucine boost to my workout nutrition is a whole lot easier!